Online booking via the school website will be open from Monday 25th March 2019 at 7PM. We are unable to take telephone bookings. All club places must be paid for one term in advance. No refunds will be offered. Please check the T&Cs area before emailing the school office. Clubs will run from 23/4/19 to 18/7/19. Please note that we are running at full capacity, every available space is being used for a club. Any children that are attending clubs that take place outside should dress appropriately as we have no room to bring them inside if the weather is bad. Club times run from 3:40 – 4:40.Please also note that if your child is collected late on three occasions, they will lose their place at their after-school club. 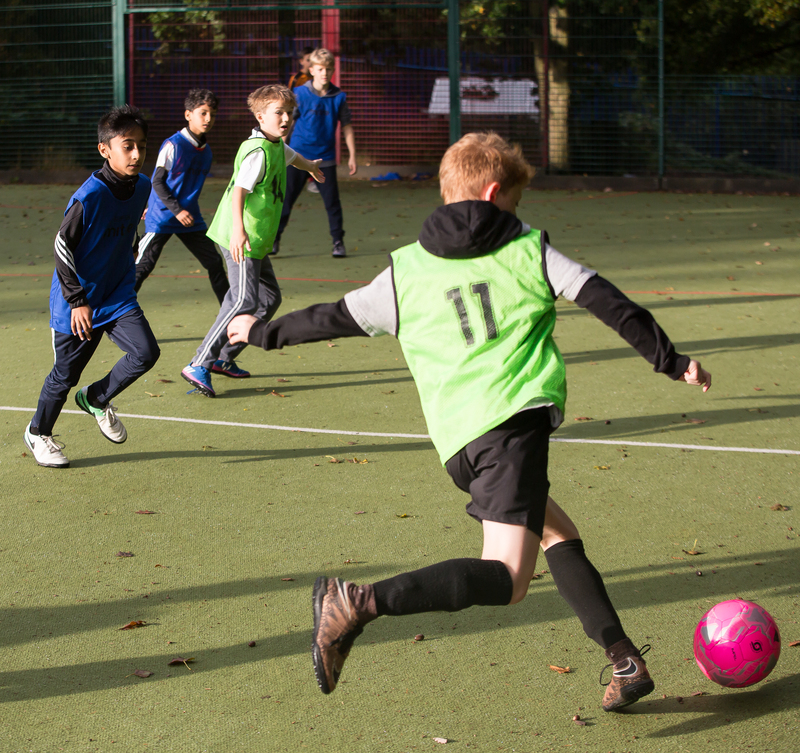 Football (multiple sessions/ year groups) and Multi-Sports (year3-6) – Football clubs will be delivered by Muswell Hill Football Academy. Groups will be mixed, and divided according to year group. Sessions will focus on using small sided games to develop teamwork and skills with an emphasis on all children being active participants throughout. Yoga – multiple sessions/ year groups (Year 1 -6) – Gabrielle Haynes will deliver Yoga to Year 1 -3 children. She has over 15 years of experience in teaching Yoga, including Yoga for kids. Her classes will give children confidence, open their minds and their imagination, whilst stretching and strengthening their bodies to achieve poses both on their own and with partners. Art (Year 3 -6) – Art Club will be delivered by Mia Warman, one of our new GTA’s. Sessions will be based on the work of famous artists and children will have the opportunity to use a variety of art materials from paints to pastels, producing pieces of work to take home. Chess- multiple sessions/ year groups (Year 3 – 6) – Chess will continue to be delivered by Kamlesh Karia. Children taught by Kamlesh have taken part in competitions both locally and nationally, winning trophies and gaining valuable experience of competing against others. Chess has proven to be a very popular activity at Coldfall, building on the excellent teaching Kamlesh delivers as part of our enrichment curriculum in Year 3. Gymnastics (Year 1 – 2 & Year 3 – 6) and Netball (Year 3-4 & 5 -6) – These sessions will be taken by Charlie McNamara. 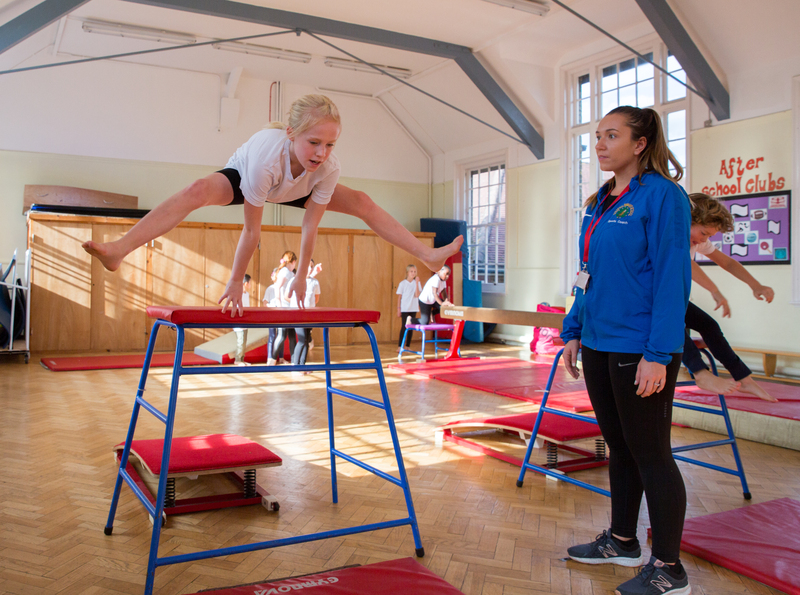 Charlie holds coaching qualifications in each of the above and will focus on developing and building on children’s skills, allowing them to become highly confident and competent when taking part in gymnastics, dance or netball. 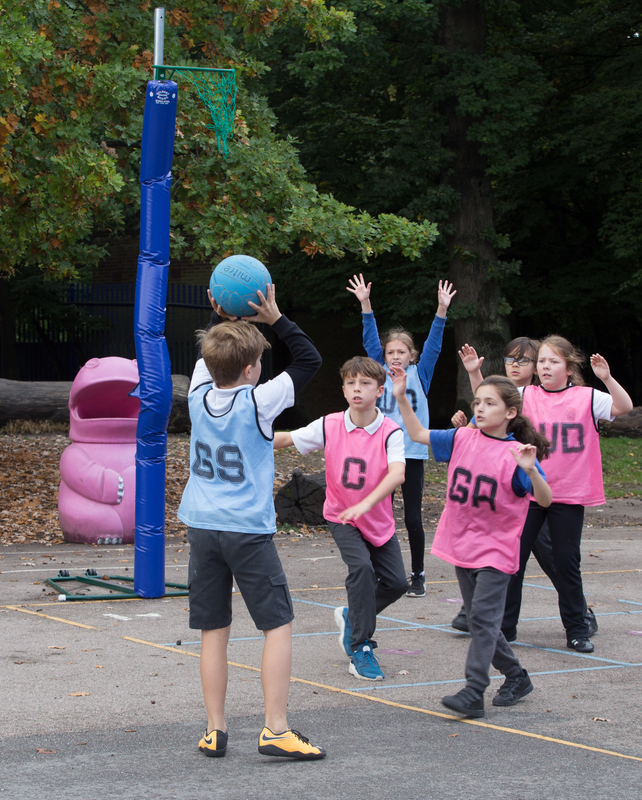 Monday Netball will now be for years 5 and 6. Friday Netball will be for years 3 and 4. Tag Rugby/Athletics (Year 3 – 6), Multi-Sports (Year 1 -2) and American Football (Year 3 -6) – These sessions will be taken by Mitchell Browning, our PE teacher. American Football and Tag-rugby will be non-contact and focus on ball handling skills, movement and teamwork. The Tag Rugby/Athletics clubs will alternate between the two sports, working on speed, fitness and general skills. Professional Editor and Graphic Designer Andy Williams leads our School Magazine Club. The result, at the end of each term, will be a finished magazine with content created by Coldfall Pupils for Coldfall Pupils. Each magazine will feature articles, stories, reviews, puzzles and artwork created by the children. Seven issues of Let’s Talk Coldfall have been produced so far and all profits from the magazine go to our school charity, Educaid. Cartoon Club (Year 4 to 6 and Years 1 to 2) – Professional Cartoonist and Illustrator Andy Williams leads our Cartoon Clubs. As well as concentrating on good drawing techniques, the club will also focus on other aspects of cartoons and comics, such as characterisation, plot and storytelling. Many of the children from Cartoon Club also have the chance for their artwork to be featured in the school magazine. Mixed Table Tennis Club (Years 4-6) – Alex Gabriel will be leading our table tennis club. After great success in the autumn term, winning the Haringey schools championship. Alex will be continuing to develop the basic skills of table tennis, as well as developing more advanced skills with the able players. Gardening Club (Years 3-6) – Eva is a Coldfall mum who loves growing organic food. Years 4-6 can join her gardening club, where children sow seeds, make compost, care for the school hens, weed, prune and harvest all sorts of fruit and vegetables. During the dark winter afternoons we do ‘indoor gardening’ which involves gardening games, crafts, scrap-books and indoor planting. As soon as the days are longer we are outside again getting muddy in the fresh air. Please remember your wellies! Minecraft- multiple sessions (Years 1-6) – Minecraft Club will be delivered by Melissa Orford on Mondays and Tuesdays. Ms Sapirstein will deliver the club on Wednesdays, Thursday and Fridays, all with the support of Miss Mole. Children work together to build a shared world and practise their online communication and problem solving skills in a safe, contained environment. Our focus is on the collaborative, creative and social benefits of Minecraft and the joy of imaginative play. Girls Table Tennis (Year 3-6) – This club will be led by Thomas Amoako and will work on the fundamental skills of table tennis as well as fun and enjoyment of playing games. Thomas Amoako has a lot of experience coaching and teaching table tennis as he has helped lead our mixed table tennis group for the past 3 years. Basketball (Year 4-6) – This club will be led by Thomas Amoako; the club will cover all aspects of the game and try to develop each individuals skill set. Dance Year (Year 1 – 2) – Dance this term will taught by Omari Carter. Omari is a screendance practitioner based in North London and, for the past decade, has been choreographing, teaching and performing for music videos, film, tv and theatre. His work revolves around combining hip-hop dance influences with a contemporary choreographic process. Resulting in the purposeful creation of narratives told through dance and the camera. ​A first class honours degree in BA Performing Arts – studying dances within Hip Hop culture, dance-theatre and contemporary dance practices – led Omari to perform for 6 years in the west end and international touring productions of ‘Stomp!’. Now Omari focuses on choreographing, directing, performing and producing a varied reel of dance on film work with The Motion Dance Collective and other established brands and artists. As a filmmaker, Omari has created digital-dance and documentary content for Breakin’ Convention, Parkinson’s UK, and Pioneers History Dance Festival to name a few. Knitting Club (Years 4-6 ) Come and knit a scarf! – This club will be lead by Ms Waldman. Yarn, needles and a pattern provided, for use only at school – although your knitting is yours to keep at the end of term. If you already know how to knit, just come along and pick up some needles and perhaps learn some new techniques. If not, you’ll find out how to cast on, how to do one or two knitting stitches and how to cast off. Either way it will be fun and creative! 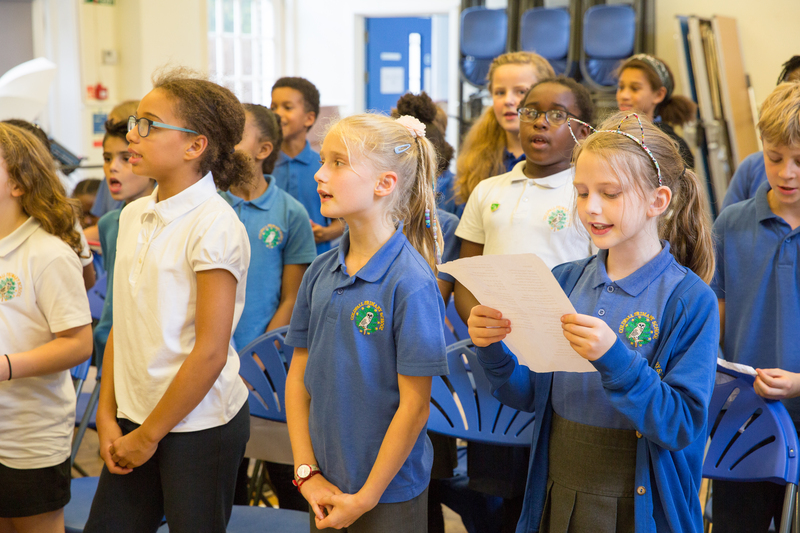 Lessons in flute, clarinet, saxophone and trumpet will be delivered by teachers from Haringey Music Hub. Lessons will be in groups of three and last for thirty minutes. They are open to children from year 4 and 5 only. Payment must be made in advance on a termly basis. Children are expected to take lessons for at least one year. This is a fantastic opportunity for children to learn an ensemble instrument alongside their friends and will result in opportunities for performances. Clubs run for the duration of term time, from 3:40pm to 4:40pm. If the school is open, clubs are on. The only exception to this is when school closes early on the last day of term or if there is a special event e.g. film night in the summer term – you will not be charged for these days. What if a club leader is absent? Why can’t I find the club I am looking for on School Money? When a club is fully booked, they no longer appear on School Money. Why do certain days have more clubs for KS1 or KS2? We try very hard to have a good balance of clubs available to all year groups on any given day; however we are limited by the days that external club leaders are able to deliver their sessions. What happens to outdoor clubs during bad weather? Unless the weather is extreme, all outdoor clubs will continue outside. Please ensure your children have appropriate winter kit for outdoor sports. Why can’t more clubs be added to the timetable? We are currently using all available spaces for extra-curricular clubs. To maintain high standards, as well as for health and safety reasons, we do not have more than 20 children in a club unless an additional adult is available to support this. We have added clubs to the program which has increased overall availability, but we cannot guarantee that your child will get a place in their first choice club. My child really enjoyed a club. Why has it been cancelled? Why don’t you keep a waiting list for clubs? A waiting list would be very difficult for the school to maintain. It would take up a huge amount of time and would affect the day-to-day running of the office. To make the system as fair as possible, we will inform parents and carers of when the club bookings will open in good time. No refunds are available. Your child is committed to a club for one term. If you chose for them to stop attending, you will not receive a refund. It is also not possible to switch to another club during the term. In the unlikely event that your child has to be withdrawn from a club due to their behaviour, you will not receive a refund for the remaining sessions. Please note that if your child is collected late on three occasions in one term, they will lose their place at their club and you will not receive a refund for the remaining sessions.